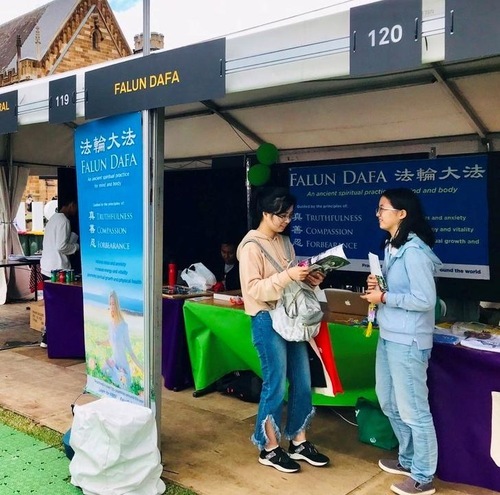 During orientation for new students at the University of Sydney from February 20-22, students visited the Falun Dafa Club booth, curious to learn more about the self-improvement meditation system. The University of Sydney usually starts its academic year in February, and orientation is a major event for the students as well as visitors. 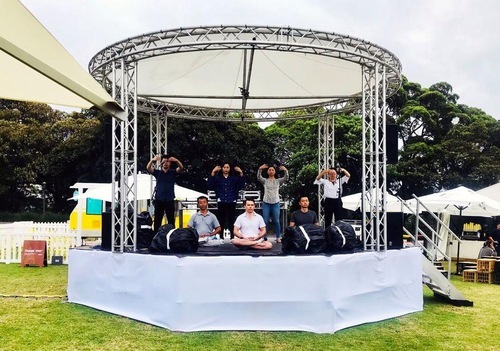 Falun Dafa practitioners at the orientation event demonstrated the five exercises and explained that Falun Dafa consists of both gentle exercises and the principles of Truthfulness-Compassion-Forbearance. They also told students about the ongoing persecution in China, including the horrors of forced organ harvesting. Many students were shocked by the brutality of the Chinese Communist Party and asked what they could do to help. 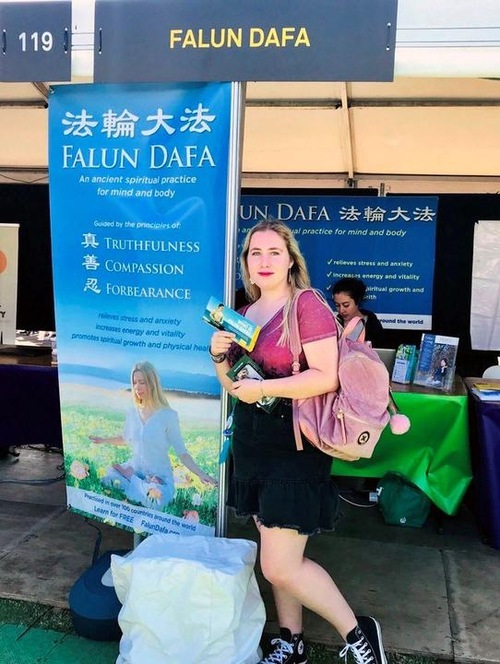 Autwo, a first-year student on the campus, had been unaware of the suppression of Falun Dafa in China. “But I did hear about the crime of organ harvesting over there. I think the mistreatment of Falun Dafa practitioners is horrible. We all need to step forward and do something about it,” she said. 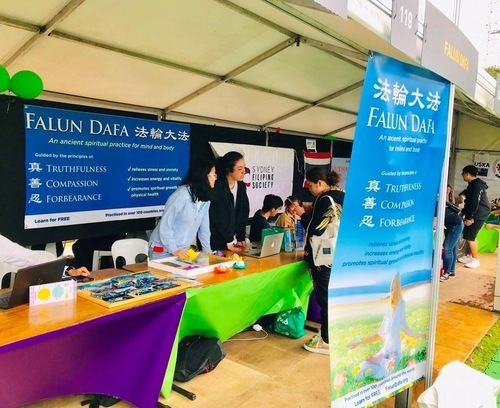 Students visit the Falun Dafa Club booth during orientation at the University of Sydney between February 20 and 22, 2019. Autwo said practitioners’ efforts to raise awareness are very important. She said many people still did not know about the persecution in China and need to be informed. She said she would join the Falun Dafa Club to get more information and updates on the situation. Many students from China were initially surprised to see the booth, since the practice has been suppressed in China since 1999. After a practitioner told them about Falun Dafa and the benefits practitioners as well as society have derived from it, many of these students changed their opinion of Falun Dafa and some of them signed up for the Falun Dafa Club. One man from China stood at the booth for a long time, reading materials and asking questions. “I could not believe it when I first heard about the organ harvesting. But now I know it is a real and serious tragedy,” he said. He took a lot of information about Falun Dafa and thanked the practitioner he had been speaking with for telling him about the situation in China.